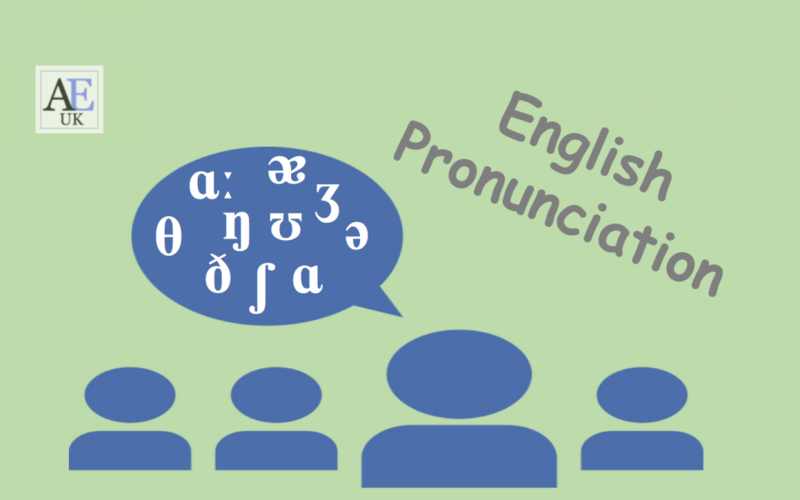 This blog introduces the basics of pronunciation. 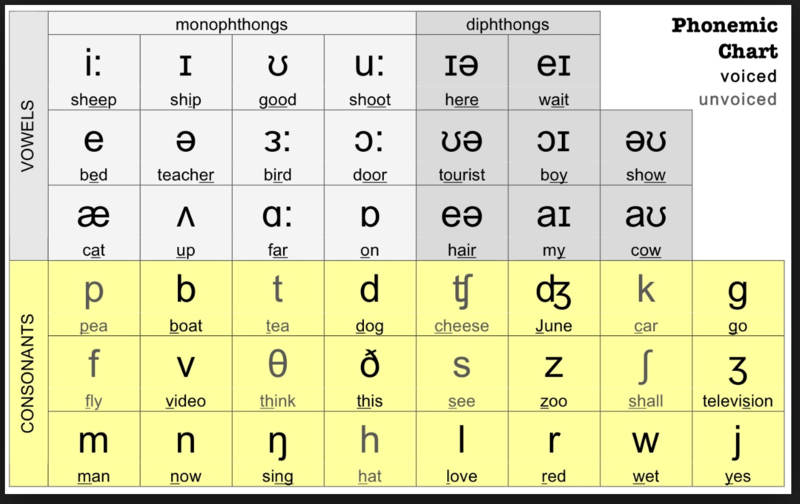 It highlights the importance of the phonemic chart and phonetic symbols in identifying correct sounds and helping to improve fluency. 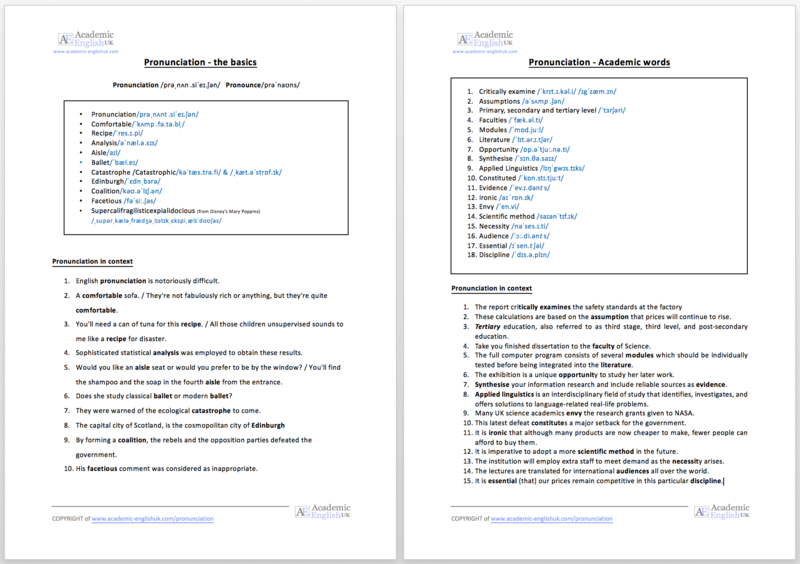 The blog includes a lesson on 10 difficult words to pronounce and then 15 academic words. All practice includes individual and sentence pronunciation. There is even a video lesson to help hear the correct pronunciation too. English pronunciation is notoriously difficult. A comfortable sofa. / They’re not fabulously rich or anything, but they’re quite comfortable. You’ll need a can of tuna for this recipe. / All those children unsupervised sounds to me like a recipe for disaster. Would you like an aisle seat or would you prefer to be by the window? / You’ll find the shampoo and the soap in the fourth aisle from the entrance. Does she study classical ballet or modern ballet? By forming a coalition, the rebels and the opposition parties defeated the government. His facetious comment was considered as inappropriate. These calculations are based on the assumption that prices will continue to rise. Tertiary education, also referred to as third stage, third level, and post-secondary education. Take you finished dissertation to the faculty of Science. The full computer program consists of several modules which should be individually tested before being integrated into the literature. The exhibition is a unique opportunity to study her later work. Synthesise your information research and include reliable sources as evidence. Applied linguistics is an interdisciplinary field of study that identifies, investigates, and offers solutions to language-related real-life problems. Many UK science academics envy the research grants given to NASA. This latest defeat constitutes a major setback for the government. It is ironic that although many products are now cheaper to make, fewer people can afford to buy them. It is imperative to adopt a more scientific method in the future. The institution will employ extra staff to meet demand as the necessity arises. The lectures are translated for international audiences all over the world. It is essential (that) our prices remain competitive in this particular discipline.